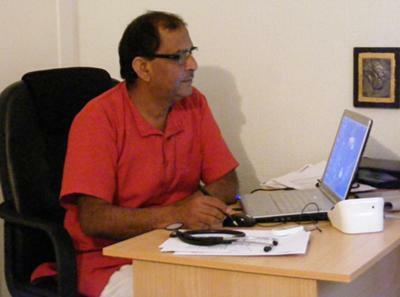 I am Ayurvedic doctor from India working in South Africa since 7 years. I practice in Johannesburg North which is close to Fourways. I also visit Knysna and Cape Town on regular basis. In my present set up I have provided all Ayurvedic remedies under one roof including Panchakarma. The ultimate goal of Ayurveda is not health, but peace - in its greatest sense, peace of mind and peace in your soul. This is the goal of all humanity. Health will come when there is peace in the soul and in the mind, but health will not necessarily bring peace. Disease is seen in Ayurveda as a sign of discord in your soul and mind. Physical problems often result from this discord. Ayurveda helps you to find health on all levels. Peace is what Ayurveda can bring to you of all ages. If peace is not there, if happiness is not there, can health really exist? General idea of health has two components; true health and diagnosed health. Many times the person is declared to be healthy, but he is stressed, has disturbed sleep, blotted. Battling for toilet every morning and he feels something is wrong. Often this is termed as psychosomatic disease or neuroses, or imagination. First and most important is, Ayurvedic assessment, it is a personal consultation with a qualified Ayurveda doctor. The first step is the consultation which takes 45-60 minutes. Patient is assessed by history taking, general physical examination and pulse diagnosis. After consultation I design an individualized treatment which includes Ayurvedic medicines, diet changes or detox therapies. Ayurveda understands our problems, even when we don’t find words for them. Please call 0828528084 for appointment. Please can you tell me when you will next be in Cape Town? Ayurveda treatment is very effective in this. You need to come personally for assessment first. Our working hours are from 9am to 6 pm Monday to Sunday all seven days a week. I Lakhan Patel from India in Gujarat. i Completed my Study in Bechlore in Ayurvedic Pharmacy at Gujarat ayurvedic University,Jamnagar. work in south Africa.if you have suitable vaccancy for this position, so please do neeedful. if you have not Vacancy than you tell me other organisation. I am a 42yr old woman who has been suffering with 4 stage endometriosis for the past 12 years. I have recently been experiencing irregular bleeding. My gynaecologist has suggested that I consider removing my uterus and ovaries to obtain relief from the pain and bleeding. I have had 9 surgical procedures for endometriosis and would not opt to have another as this doesn't seem to be working. I have read up on Ayurveda remedies for this condition and would like to find out if you will be able to assist me with my on-going problem. I reside in the Pretoria. I would appreciate your assistance herewith. I am looking after the marketing operations of a GMP and ISO 9001:2008 Certified Indian manufacturing company of research oriented, clinically well tested and completely curable ayurvedic and siddha formulations in various forms. My company was founded even before India got Indepedence by a very highly qualified ayurvedic doctor.He believed in curing all rather unfortunate human beings with the right natural drugs. 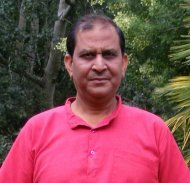 Three decades ago my company was modernized.It is managed by a family of very highly qualified ayurvedic doctors. We are all dedicated to the mission of Promoting Health the right way. All our brands of your choice will be exported to you at very economical rates. The APis of all our formulations are 100% free from heavy metals and are used in the right strenghts. It was great to see many wonderful new and old clients during this trip to this rainbow nation. As my yearly calendar now is the time to go back to India on 30th of September. After attending a workshop in Istanbul I will be back to my center in Rishikesh India. I will come back to South Africa and start my work next year February. Your suggested Ayurvedic treatments are meant for complete and permanent solutions to Parkinsonism and other health issues. As I mentioned Ayurvedic treatment works on Trisha theory. Ayurvedic treatment given to you is a part of balancing Vata Pita and Kapha, not only on cellular level, but also on psycho-spiritual level. I on the behalf of my team in India and South Africa thank you for your kind trust in our work. We promise you to do our best to keep your trust and confidence in Ayurveda –an oldest science of health. How do I contact you, I can not find an email address. I like your page, it is clear without noises! again and I like to order some medicine. Would you please be so kind to send me your email address? I am Dr. Sadashiva from India, I will be coming on September 30th to November 11th 2011. To KwaZuluNatal university. 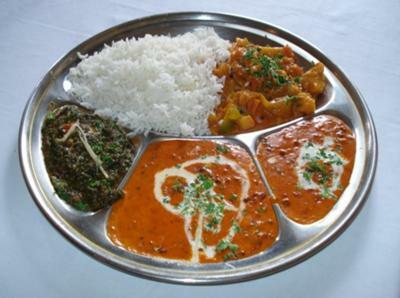 I have expertise in ayurvedic formulation, Syrup, tablet, churna and Busma preparation. I was working in Charak pharmaceutical (Ayurvedic company) mumbai 1997-2003. If you need any help please mail me.